Did the Slaughter of the Innocents Happen? 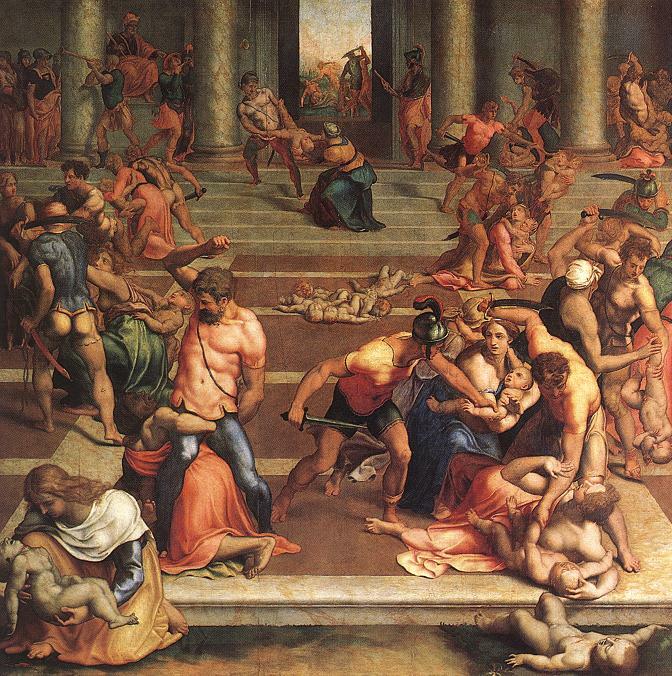 On December 28th of every year, the Church Calendar commemorates the Feast Day of the Holy Innocents. 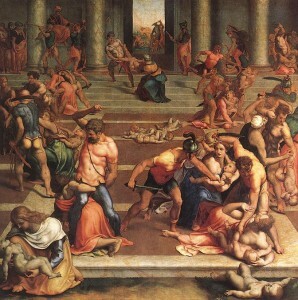 The commemoration of the Massacre of the Innocents recalls the events of Matthew 2:16-18. By Herod the Great’s direction, the slaughter of all males two years old and under was ordered in an attempt to kill the infant Messiah. But, gratutiously, and highlighted by a quotation box, they insert the claim that Herod almost certainly did not kill the babies two years old and under in Bethlehem at the time of Jesus’ birth. The sole reason given is that the report of this massacre occurs only in the Gospel of Matthew. Of course, very liberal scholars have said something similar for a long time, but without good reason. What makes the National Geographic report’s statement all the more unfortunate is that it comes right in the context of fairly detailed recounting of Josephus’ reports of all the cruelty and executions Herod did manufacture. Increasingly paranoid as he got older about supposed threats to his “throne,” he had several of his sons and wives put to death. It would be one thing if Josephus gave one kind of portrait of Herod and Matthew a quite different one, but both sources agree entirely on Herod’s ruthlessness and the specific manner it most manifested itself–repeated murders of those even slightly perceived to be a threat to his power. Reports that a boy had been born with the right ancestral credentials to reign over Israel would easily have threatened this megalomaniac from Idumea who wasn’t even a Jew by birth and would never have survived the installment of someone with the right lineage. So why didn’t Josephus say anything about these babies? Because, like all other historians of his day, he was concerned to recount the events related to the kings and queens, military generals, aristocracy, and institutionalized leaders of religion of his people–not the lives and times of ordinary peasants. Bethlehem had at most 500 people and, even factoring in large families, one can scarcely imagine more than 20-25 babies affected by Herod’s soldiers’ raids, and perhaps less. It was a blip on the horizon of Herod’s nefarious resume. It may even have been little reported in circles outside of later Christian ones. One more time, major press outlets cannot ask one Evangelical scholar for an opinion about a Bible story. The press acts as if Bible-believing scholars do not exist. This entry was posted in Bible, Holy Innocents, Jesus Christ, Liturgy and tagged Church Calendar, Herod, Holy Innocents, Jesus on December 27, 2010 by GlennDavis. It would also be very interesting to see how many “actual” historical events come from just one or two sources; and then, to see how reliable the manuscript tradition for those sources is compared with that of the New Testament! I ended up citing this post of ours in a blog post of my own, linked in my name above; let me know if you’re not all right with that and I’ll delete it. No problem–appreciate your kind comments about my blog.